Tyler and Kate married in the gorgeous Bruton Parish Church in Williamsburg VA. These two had the most incredibly beautiful day with gorgeous blue skies and sunshine cascading all around. It was like the heavens above opened up and decided to join in on the celebrations of the new bride and groom. We have had so much rain the past couple of weeks it was refreshing to get some sunshine for once! Serenaded by pretty maids all in a row. Kate & Tyler met at William and Mary while in Choir so singing is not only apart of them but also their story. When I arrived at the house where Kate was getting ready I was greeted with all types of music from all different musicals. The atmosphere was full of excitement and anticipation. Then the girls started to sing and it wasn’t like my singing at all… I mean these girls can sing and it was the sweetest thing I ever saw! They serenaded the bride as she smiled and twirled in her gown. I felt like I myself stepped onto the stage of a musical. Then during the bridal party pictures, the bridal party broke out into the ensemble “Dancing Queen” and it was epic. In front of the Governor’s Palace in Williamsburg, it was definitely a sight to see! People were stopping and even filming the bridal party as they put on a show for all the tourist visiting Colonial Williamsburg. What a way to celebrate the sweet newlyweds and definitely a moment that I will always remember in our career. Bruton Parish Epispocal Church is in the heart of colonial Williamsburg. 341 years old, this church is rich in history and has been a place of worship for many of our historic forefathers such as George Washington and Thomas Jefferson. It is a historic Williamsburg episcopal church that holds so many stories and has such much meaning in this part of the world. It’s also a very short walk from William and Mary. The bride and groom are alumni at William and Mary and choosing to get married in the heart of Williamsburg made so much sense to them. This church was the perfect location for their beautiful ceremony. And when a couple chooses a wedding venue that has ton’s of window light it is always a plus for us! The Williamsburg Inn is one of my favorite venues in Williamsburg. More of about this venue coming soon, but let me just say I love this hotel and management. They always ensure only the best for the couples that grace their doors. The new Mr. & Mrs. along with all their family and friends partied the night away in the beautiful Regency room at the Inn. Their wedding reception cascaded with beautiful greenery from Aleen Floral Design and impeccable planning from Kat with Dear Sweetheart Events, it was bound to be perfection. Then of course Good Shot Judy showed up and of course, they kept the party going. This Williamsburg wedding was a joy to capture. Kate and Tyler are some of the sweetest people and their friends and family are more than welcome to come to any of our future weddings. They had such a great spirit about them and so much joy radiated throughout the day for this couple. For the new Mr. & Mrs… Thank you so much for having us join you for your special day. You guys were such a joy to work with and Luke and I wish you nothing but love and happiness. Looking forward to watching your family grow and all the good things life has to offer you! 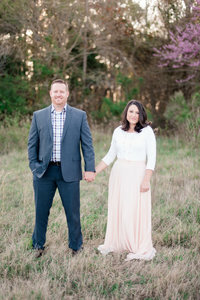 See Kate & Tyler’s Engagement Session Here! Shout Out To All These Amazing Vendors! See more Williamsburg Weddings Below! As photographers in Williamsburg VA we LOVE the history and culture that this little corner of the world offers. It really is such a unique place to get married and if you are considering Williamsburg Va as your destination we would love to talk to you and be a resource in your planning process! Head on over to our contact page and let us know all the amazing details of your day!